"Don't be one of the 58.4% of homes on the market that fail to sell!" 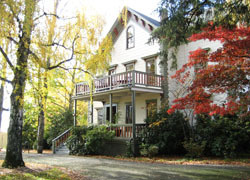 Search for homes in the Portland MLS, now called the Regional Multiple Listing Service or RMLS. 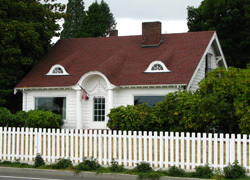 If you are looking for a home to buy in the Portland area, we have over 31,730 homes, MLS listings (RMLS) and other real estate for sale in the Portland metro area, including southwest Washington and surrounding Oregon cities of Beaverton, Hillsboro, Gresham, Clackamas, Lake Oswego, Vancouver, Troutdale, Tualatin, Oregon City, Milwaukie, - and many other cities. 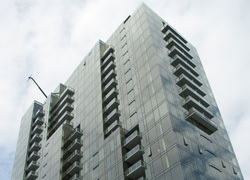 Condos in Portland range widely in quality and price. 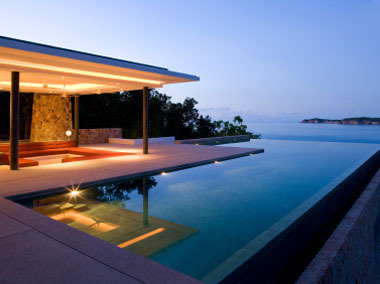 Depending on the area, some condos are at the forefront of luxury. Penthouses on the waterfront with views of the city and forest park and within close proximity of top restaurants, shopping, and transportation. Others may be far away, a bit run down, and in a less than reputable neighborhood. 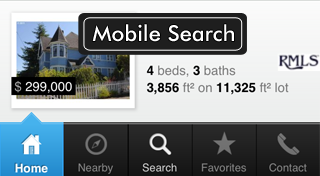 But whatever type of condominium in Portland you may be looking for, it will be easy to find here. Photo by werewombat. Homes in the Pearl District and Downtown are hard to come by. These parts of town are full of people living and working, visiting and shopping. Most of what is available wil be condominiums. 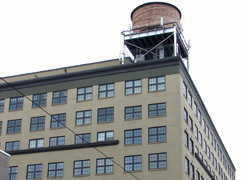 However, there are some houses still in the corners of the Pearl District and western parts of Downtown. The hills are a much better location for homes as they are in close proximity to Downtown, The Pearl, and NW 23rd Avenue. Photo by werewombat. Portland, like many other big cities, is blessed with a river going straight through it. The Willamette is a large river flowing north where it meets up with the Columbia before heading west along the Washington and Oregon border, into the Pacific Ocean. Bridges over the Willamette are abundant and there are many waterfront properties along the river and on Lake Oswego to the South. 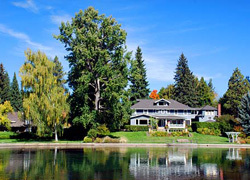 The best waterfront areas are just south of Downtown and Lake Oswego. Most of the North is taken up by ports, shipping companies, and industrial districts. There are, however, some amazing condos overlooking the river and the city. Photo by Gary Halvorson. 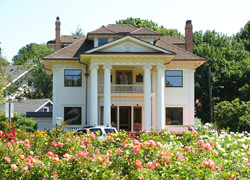 Portland is a big city with many different areas and neighborhoods. Downtown and the Pearl District is full of business people, artists, and students. Northwest 23rd Ave has boutiques, restaurants, and nice homes. 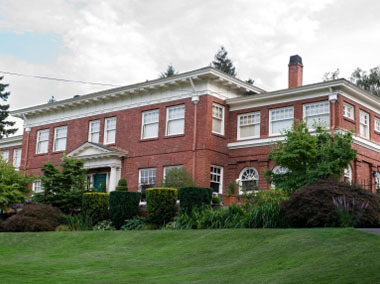 Up in the West Hills, lumber barons of the 20th century built homes and great parks. Southwest has many homes and is away from the hustle and bustle of the city. The Southeast is more spread out, the inner part is bohemian, with the outer being more middle class. Northeast has a thriving and diverse art community. North Portland is the fifth quadrant and has a great art community. Photo by Ian Poellet. Beaverton is located West of Portland, just over the hills. Most of it is suburban residential although it does contain Nike's headquarters and some shopping malls. 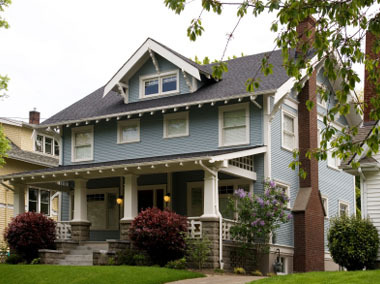 Homes are affordable and neighborhoods are nice. It's a short drive to downtown Portland. Without the density of the big city, homes are free to flourish with enough space for things like gardens and hot tubs. Photo by werewombat. Farther West and a bit North of Beaverton, Hillsboro is another suburb of Portland. Spread out and a lot less dense than Portland, Hillsboro has enough space for children to play and gardens to grow. Homes are affordable and the trip into the city is a bit longer, but not unheard of. Public transportation reaches to Hillsboro as well. Photo by Aboutmovies. 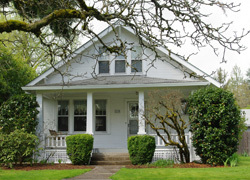 Gresham is a great suburban location for a family. It's the fourth largest city in Oregon and located close to Portland and Mt Hood. With affordable housing and enough space to spread out, the whole family will be able to have their own space without feeling crammed together. Gresham is rapidly growing and has turned from a predominately farming community to a bustling urban center. Photo by werewombat. Clackamas is a small town south of Portland. There are some homes and condos in the area. Late 2009 introduced a new MAX line, the Green Line, going from Portland State University and Portland City Center to Clackamas Town Center, a large shopping mall with many stores, a food court, and theaters. It is also the location of Camp Withycombe, a military base, and a branch of the Kaiser Permanente Hospital. Photo by smallbones. 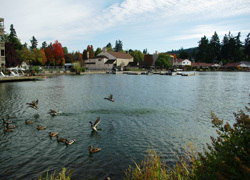 Lake Oswego is a town around a lake of the same name. The town got it's start from Portland's brief iron industry in the late 1800s and has grown today into an affluent suburb. 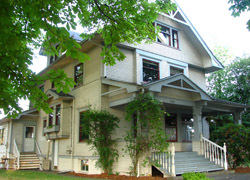 There are some beautiful homes directly on as well as overlooking the lake and city. 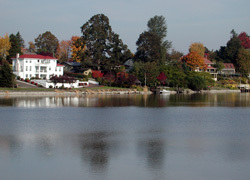 The lake is private and allows many residents to boat right from their homes. Photo by M. O. Stevens. 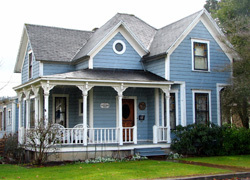 Troutdale is a medium sized city with a rich history, most being built from 1890 and 1891. Located east of Portland by Gresham and Wood Village it offers a quick trip to Mount Hood without being too far from Portland. 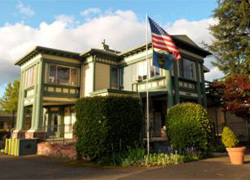 It's full of parks and is home to one of McMenamins largest venues, Edgefield. Photo by embraceoregon. Fairview is a small city on the Columbia River. 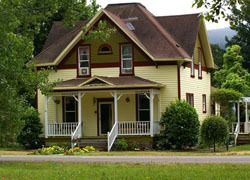 It is set apart by it's great views of both the Columbia River Gorge to the north and Mount Hood to the south. The residents are mostly middle class. Photo by finetooth. 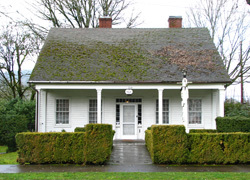 Wilsonville is south of Portland and has a rich history reaching back to Alphonso Boone, grandson of Daniel Boone. 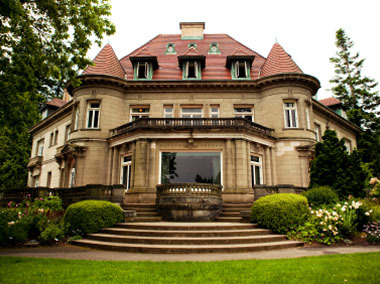 Wilsonville boasts the only home in Oregon designed by Frank Lloyd Wright, the Gordon House. Because it's located on I-5, the city has always had more jobs than residents, it is home to many distribution centers and headquarters. Photo by M. O. Stevens. 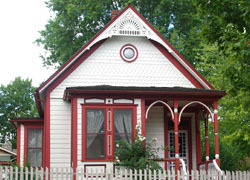 Forest Grove is a medium-sized city west of Portland. It grew to a city from a small farm town and is still surrounded by rolling hills, green forests, and lots of recreational opportunities. There are also many vineyards in the area. Downtown is full of historic, turn of the century architecture and has that small town charm that many northwestern towns still have. Photo by M. O. Stevens. Tualatin is a suburb located south west of Portland. 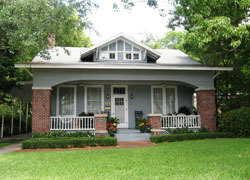 There are many homes in nice residential neighborhoods and great recreational opportunities in the area. It's easy commuting distance to Portland and a close distance from Mt Hood. 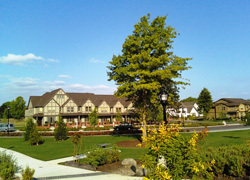 There is a large upscale shopping center, Bridgeport Village, that offers a European-style shopping experience. Photo by finetooth. Tigard is a medium-sized city west of Portland. 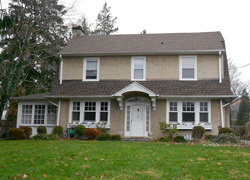 It has many nice and affordable homes in the thirteen neighborhoods. 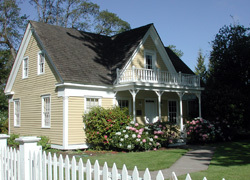 The city is home of the John Tigard house (pictured to the left). Downtown has just been updated to be greener with wider sidewalks with planters allowing for natural runoff instead of being piped to another location. Photo by Aboutmovies. Gladstone is a small city located south of Portland. It was settled early because it's such close proximity to Oregon City, the end of the Oregon Trail, and it's location between the Clackamas and Willamette Rivers. 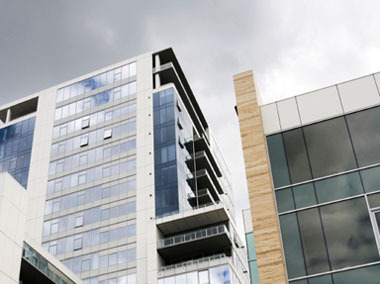 Residents are middle class and homes are affordable in the city. Photo by thecraftsmanblog. Oregon City is a medium-sized city south of Portland. It is well known as the last stop on the Oregon Trail. Because of it's historical connection to pioneering, there are many museums and interpretive centers to celebrate and learn about pioneer history. Residents are mainly middle class and since the decline of the lumber industry, many jobs are now in high technology and light manufacturing. Photo by werewombat. 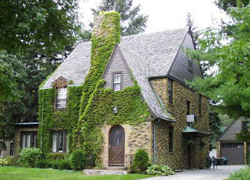 Happy Valley is a medium-sized city located south east of Portland. After a growth spurt in the 1990s many housing developments have popped up. Residents are mainly upper middle class. Mount Scott is an extinct volcano within the city limits that grants great views of Mount Hood and the Columbia Gorge. Photo by esprqii. 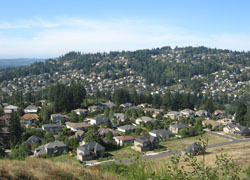 West Linn is a medium-sized city located south of Portland. 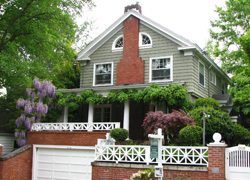 Residents are upper middle class and homes in the area are nice ranging from historical to modern. 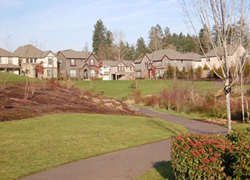 With a healthy community dedicated to sustainable life, West Linn is a great place to call home. Photo by werewombat.